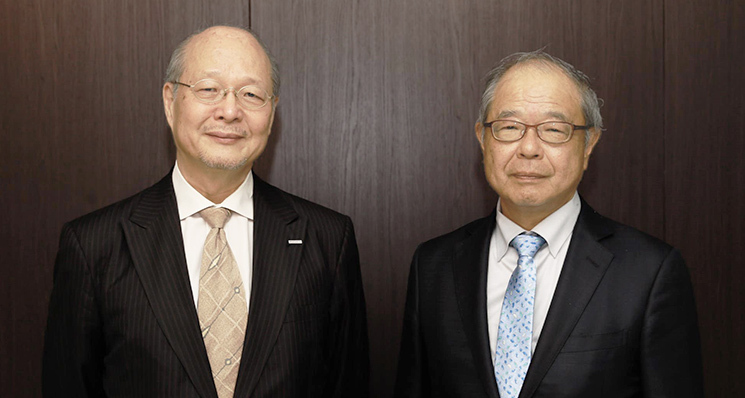 Conversations with the President and Outside Directors | Corporate Governance | Corporate Social Responsibility (CSR) | Akebono Brake Industry Co., Ltd.
TsurushimaI think that outside directors play two major roles. We offer the corporate management team valuable advice, and we exercise our function to check inappropriate behavior. The ratio of internal to outside directors at Akebono is 3:3, so that coupled with the expectations placed on outside directors means we have a rather big responsibility. NobumotoMr. Tsurushima is always offering us guidance as well as frank opinions and stern commentary for the Board of Directors. In particular, we have received advice from him regarding governance. Thanks to Mr. Tsurushima, I have learned a lot, for example, some matters that I feel are not a problem appear strange to people outside the company. TsurushimaLooking in from the outside has certain advantages that an internal perspective cannot offer. In order to make constructive discussion possible, I think there should always be an appropriate amount of optimum tension between the outside directors and the internal management team. At the board meetings, we say things that are quite painful to hear, but the Akebono team always listens to us earnestly, and that makes me very happy. NobumotoI’m very grateful you feel that way. TsurushimaWhen we began discussing corporate governance, there were many theories of governance from the perspective of how to check corporate scandals internally. The general direction we headed in was to strengthen governance by incorporating more outside perspectives, such as outside auditors and directors, each time a scandal occurred. However, recently the posturing for a governance system that enables improvements in sustainable corporate growth and value is growing stronger. In the case of Akebono, the framework for the system of governance is very well established if we look at the composition of the Board of Directors, which includes the ratio of internal and outside board members and number of outside members on the Audit & Supervisory Board. The same can also be said considering there is a Management Council in place that serves as a decision-making organization. However, management is about accountability and we must produce results so I think the challenge is how best to link our well-established system of governance to those results. NobumotoThank you. I hope to move forward with measures in a way that considers the company’s independence in line with the governance code. I want to utilize the opinions of external parties as well, to prevent us from becoming complacent. 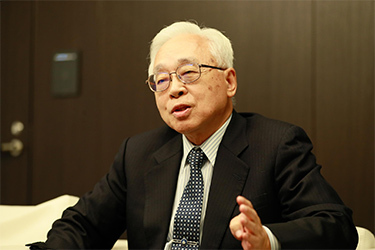 TsurushimaIndeed, my understanding of a governance code is that it does not deny autonomy, but rather respects it while guiding a company’s basic framework and way of thinking attempting to help improve sustainable corporate growth and value. Recently the idea of ESG is seeing widespread demand from society and stakeholders and as a scale by which to evaluate a corporation. These concepts are the basic infrastructure that enables sustainable growth and improved corporate value. 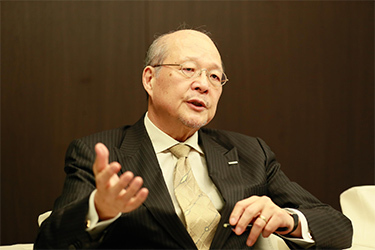 NobumotoAs a company, there are many things we can think of doing from an ESG perspective and I think the more we implement the greater evaluation we will garner. 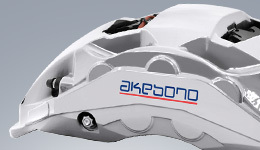 Therefore I think future plans at Akebono Brake must place environmental response at the forefront while we consider how we will leverage Akebono Brake’s unique aspects. 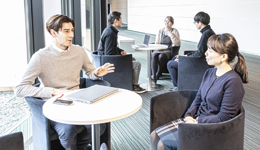 TsurushimaI think the concept of ESG represents a way of thinking that generates revenue and provides an infrastructure that enables sustainable growth in a company. Based on this, I believe the greatest challenge for Akebono Brake moving forward is recovering earning power. One of the pillars of the midterm management plan is the “return of a sound financial condition.” This is an essential condition for corporate growth. 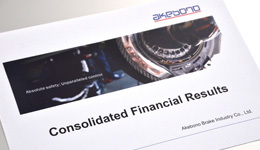 However, Akebono’s financial structure has not improved as we had hoped. NobumotoI think there are an unlimited number of ways in which we can make efforts to recover our earning power. For example, where and what are the needs in the aftermarket? We must seek out opportunities like this. TsurushimaConsidering Akebono’s current situation, the positioning of the new midterm business plan is very important. What should we focus on as we build our structure? Making good choices and concentration are critical. We have to allow for sufficient discussion and then figure out how to implement a plan that can be achieved. Not only the management team, but all of the employees also must work together to propose and implement a good plan. I believe that requires an awareness of our situation and the boldness to carry out these efforts. 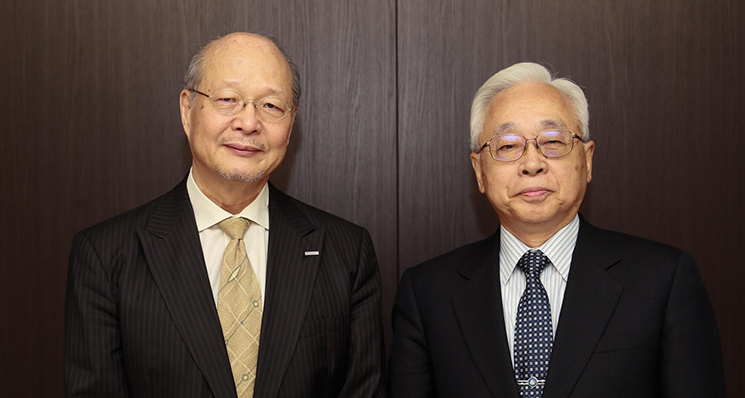 OkazakiAs a technology specialist, I think the Board of Directors’ mission is to express my advisory opinion on the future direction of Akebono’s technological development. Since the Company is now in a difficult business situation, I make every effort to speak from the standpoint of how to leverage Akebono’s original technology, how to invest in it, and what kind of business model we should develop. NobumotoAkebono has various technologies, but I question whether it is sufficient that we utilize our technologies only in fields where we now do business. Deeper pursuit of these technologies might provide a new picture. I’m very grateful that you have given us insight from a technical perspective on the possibility of using these technologies in other fields, on evaluating our technology, and on the development direction. 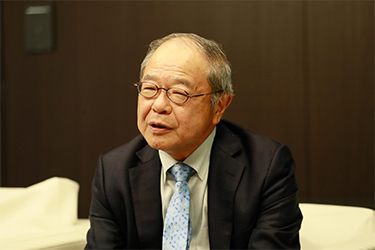 OkazakiRecently, I have found that to develop new technology it is necessary that 1) the management foundation is solid, 2) there is the financial capacity to invest in technology development, and without these two, technology development is impossible. Therefore, we need to consider what kind of technology development to pursue and discuss it at the board of directors meeting or at other venues. Still, we must have a dream. There is no point in having a dream just to have a dream. But, if the dream fails to motivate, we will not develop technologies that inspire. NobumotoThis is not just a technology issue. Although there may be a lot of repetitive work one has to perform each day, you’ll waste your time if you get buried in all of that without a dream. OkazakiMore than 100 years have passed since the car was invented, but now things are changing at a speed never seen before. The most important point is electrification. 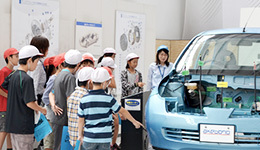 "E-mobility" is the blanket term for hybrid and plug-in hybrid vehicles, electric vehicles, and fuel cell vehicles. As its popularity spreads, the world of brakes will drastically change. One of these changes will be the regenerative brake. As friction brake wear decreases, demand for repair parts decreases. Once electric motors are mounted to each wheel, brakes will also have to be miniaturized so they properly fit. This will likely occur around 2040, and though it may seem a long way off, there are many things we need to think about now. More important than even "E-mobility" is addressing the environment. This is becoming increasingly difficult to do in these times. Akebono is a company that has led the world in its efforts to advance environmental measures, but it needs to pay even more attention to this issue. NobumotoThe electrification of the braking mechanism is inevitable. Therefore, we will refocus on the electromechanical brake including the control system. An even larger issue is that of the environment. 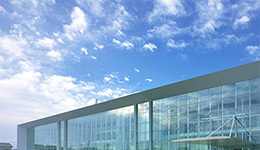 The focus of the three-year midterm business plan, which starts from next fiscal year, is the environment. I would like to find business opportunities from the environmental problems. OkazakiAkebono should pull the world along with technology, its original technology. However, to develop the technology, management is important because funds are still required. We must quickly generate a positive growth cycle. 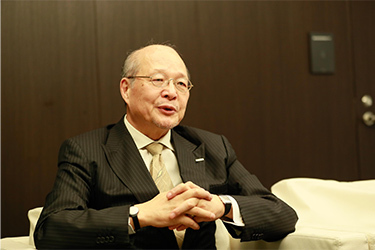 NobumotoI want to return Akebono to a company that is technologically driven.